Sometimes the right gear comes along that really makes sense to spend your hard-earned money on. Olicamp is one of those times! As you know I am a big supporter of the Emberlit stove. 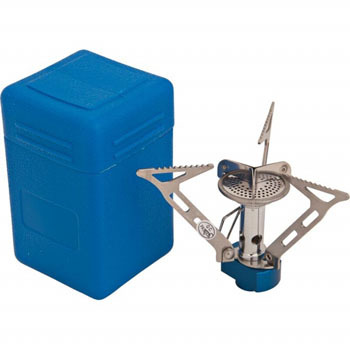 I think the Emberlit stove is one of the best things ever made for the serious prepper when it comes to surviving in the outdoors. But the Emberlit has its drawbacks. Namely, the smell of smoke from the fire you build. The Olicamp overcomes that problem, albeit at a price. But that price is a very modest one. Actually, I should position this like other “tools,” there is a time and place for this tool just like any other. The Emberlit uses the fuel nature provides but the smell of smoke can give you away. The Olicamp produces no smoke but you must provide the fuel. Depends on your situation as to which tool you find more to your specific need. So yes, this little beauty is small and very lightweight. A little background…My engine crews all have JetBoils on their engines, mostly to make coffee on cold mornings. But they also use them to boil water to add to Mountain House food pouches for meals. I am not a coffee drinker and I like MREs due to convenience. So I never really wanted to use a JetBoil. However, one day I was using my Emberlit and there was more smoke coming off of it than I thought there should be. It dawned on me that the smell would probably travel for some distance and let folks know I was in the area. I didn’t want that for a survival situation after grid-down. Then I started thinking that being able to produce boiling water quickly even during utility outages at the house would make a lot of sense. What I have was a Coleman Even-Temp 3-burner stove but that would take time to boil water. But that seemed like a waste of precious fuel. Hence, the Olicamp. On my trip to Utah that included Surviving Deadly Contact Training would be the perfect time to test the stove. I would be camping out and cooking both breakfast and dinner. I loaded up the Mountain House and the Olicamp stove. 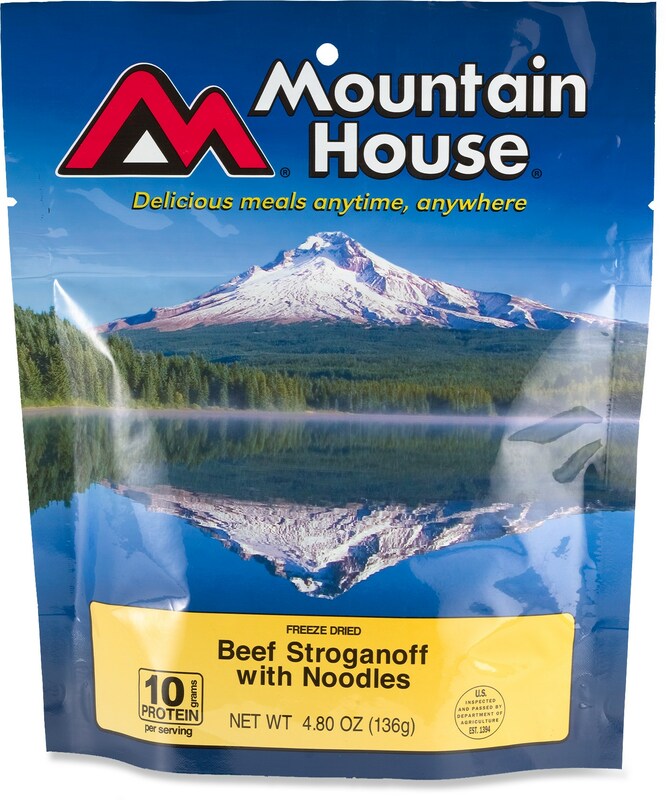 First night I decided on Mountain House Beef Stroganoff. 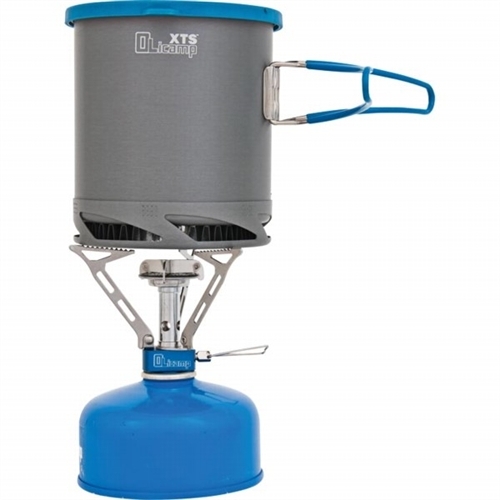 The Olicamp heated two cups of 70º water in under 90 seconds. Yup, 90 seconds, and I didn’t even have the gas valve wide open. 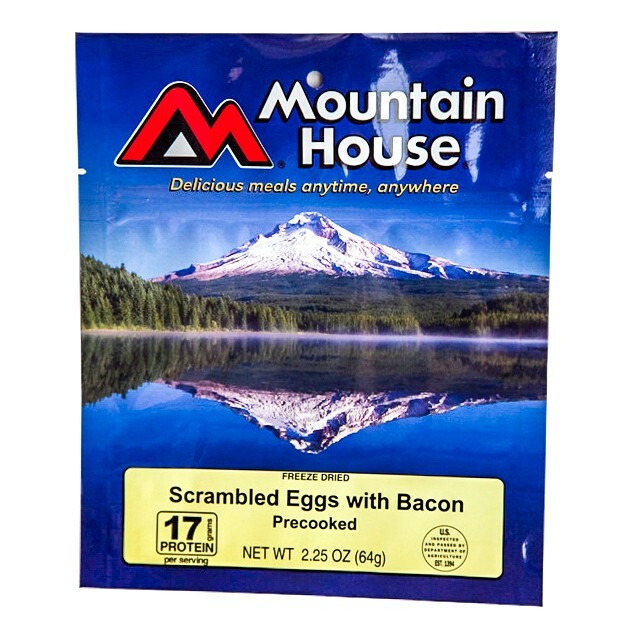 The next morning I decided on Mountain House Scrambled Eggs and Bacon. I let ‘er rip and the Olicamp had a cup of water boiling in under 45 seconds! Both times I used Olicamp 4 Season Performance Mixture fuel. Seemed appropriate to use their fuel since I was using their stove. The fuel is a mixture of butane (75%) and propane (25%). I can tell you it burns very, very hot. It produces a staggering 10,200 BTU. The inside of the pot stabilizers glowed red in just seconds. The stove has to sit level. If you set it on unstable or unlevel ground the pot will tip off the stove knocking the whole thing over. I used a flat rock laying level on the ground to set the fuel canister on. Be gentle with the valve. You don’t have to crank it hard to open or to close it. Be gentle, a light hand. Only boil water in the pot. Without thinking I heated up my beef stroganoff on the stove. The food burnt to the bottom of the pot very quickly due to the high heat. Good news is…the pot cleaned up very easily with a little soft sand. Even the small fuel canister contains about 4 hours of burn time. Think about it…that is a lot of boiling water! 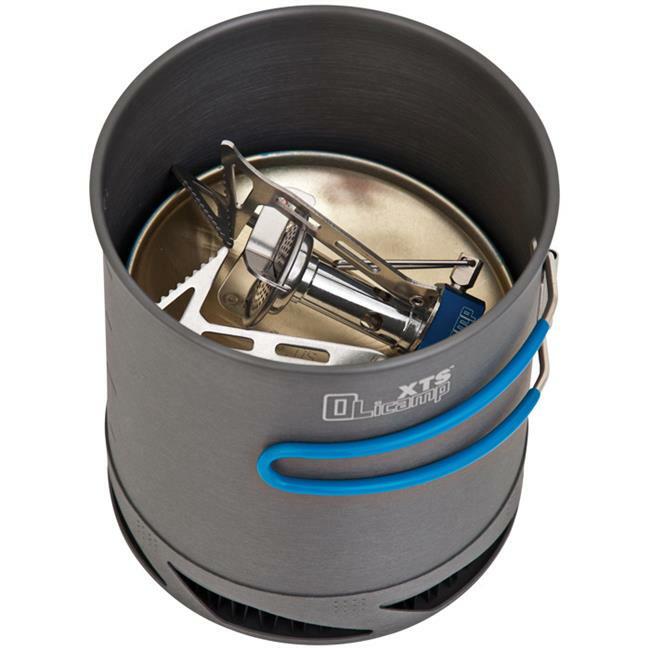 Nice little bonus…the stove, a small canister of fuel nests very nicely in the pot. Stove can be stored in its hard plastic case to protect it if needed. This little gem performed beyond my expectations! It costs half the price of a JetBoil. 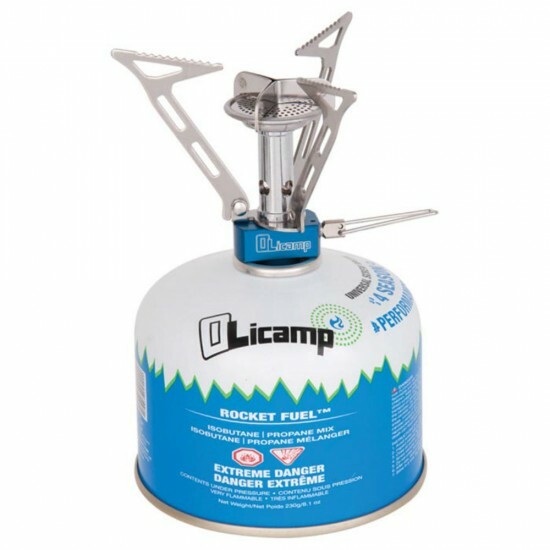 The Olicamp can be purchased, pot included, for well under $50. I’ve seen them as low as $39.95 on sale.